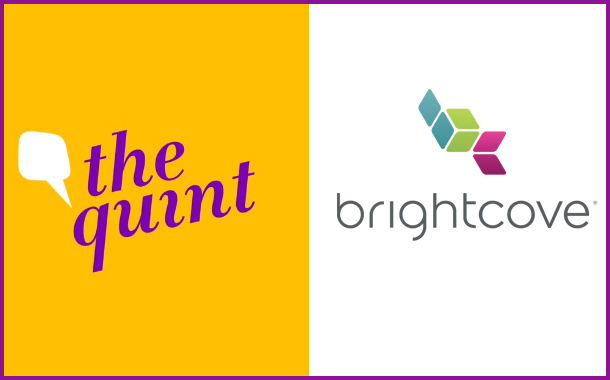 Mumbai: Brightcove today announced that its video platform has been selected by The Quint, one of India’s fastest growing news publishers, to manage and stream video content on its website, mobile apps and across social media channels. The Quint was founded in 2016 as a digital-first publisher catering to the millennial generation. During this time, The Quint has seen its traffic soar to 15 million unique visitors per month with users accessing content topics ranging From politics, policy, entertainment, sports, business, food, and pop culture. Video is a core part of The Quint’s content portfolio and user engagement strategy and it is both embedded throughout its articles and used as standalone content. The Quint monetises video with pre-roll advertising.